It's no secret that I've been in absolute denial about summer ending (seems appropriate to post this on the last day of summer). There's a lot of reasons why, from the freedom and carelessness that just seems to float in the light and warm air, the clothes you can wear that feel like a second skin to the glow of your skin. I wouldn't say I have ever been overly obsessed about being tanned, although I don't hide from the sun (if I'm wearing sunscreen), I also don't apply self-tanners and stuff like that in winter. But there's nothing I love more than that healthy glow you get from a short getaway holiday when your skin isn't really all tanned but just slightly and your cheeks, nose and lips have this pinkish-red tone like they just got all the nourishment in the world. This post is making me very nostalgic. NOT HELPING. Anyways, I recently came up with how to fake just that glow without self-tanners, bronzers and whatever else people use for this purpose! You only need two things. Well three if you include a good moisturiser (this is what I use). Apply and spread the moisturiser, let it sink in for a couple of seconds and the apply the blusher on your cheekbones as well as over the bridge of your nose, so that it really looks like you'v been in the sun just about one minute too long. Apply it lightly though, we don't want to look like lobsters. 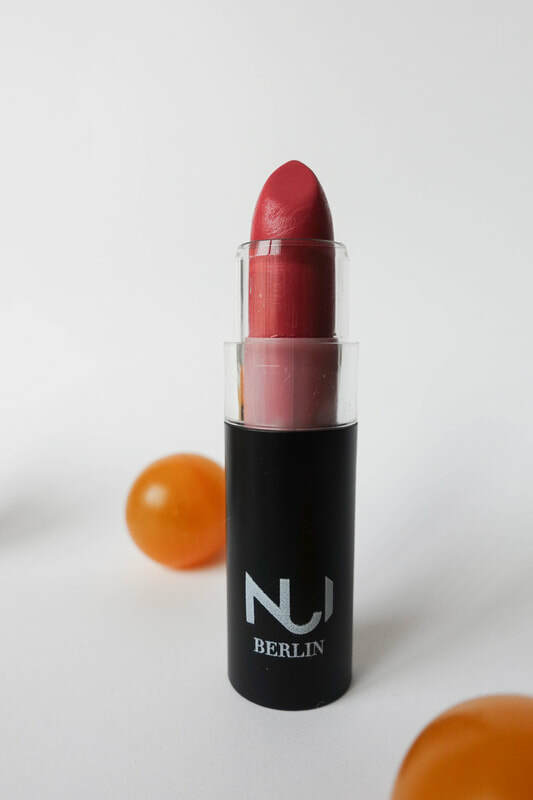 The use the lipstick in a pinkish-red colour that still resembles your natural colour so that people won't even notice the difference. I've found this blush which is working miracles for me,(it's truly become my favourite thing ever!!) it's the Nui Cosmetics Cream Blush in Karamere - which by the way I also use on my eye lids which makes them look really glowy and brings out some of the green in my eyes. For the lipstick I use Nui's Amiria to get that tinted effect. 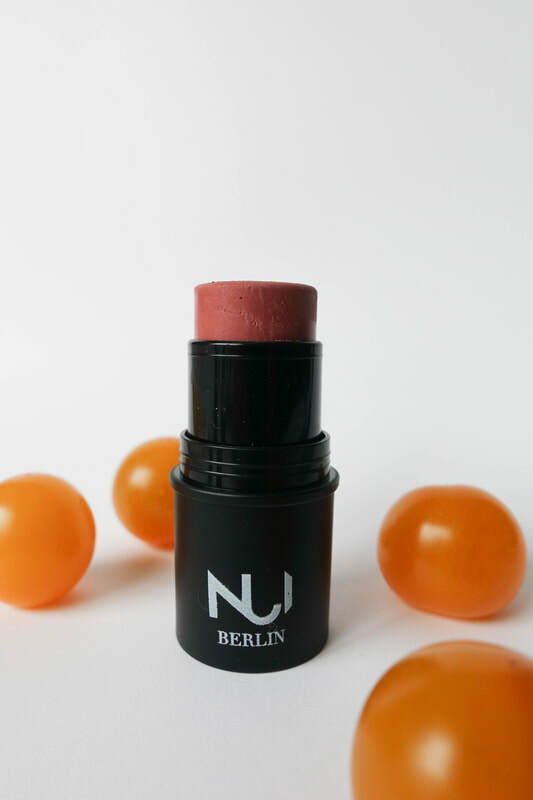 Nui Cosmetics is a german brand that I had the pleasure of discovering during Berlin Fashion Week (see the beauty look I wore here)and have fallen for. It's 100% natural, almost all ingredients are organic and it's completely vegan/cruelty free and you'd never be able to tell the difference from conventional high quality make-up!